During the recent episode shoot on the Southern Oregon Coast, the Facing Waves team captured the natural beauty, picturesque rivers, and amazing beaches that make this region the perfect place to paddle. The locals and tourism support team helped guide Alex Gray and myself as hosts on an adventure that was filled with unforgettable locations both on water and land. We began our journey collecting stunning footage while paddling the Rogue River. 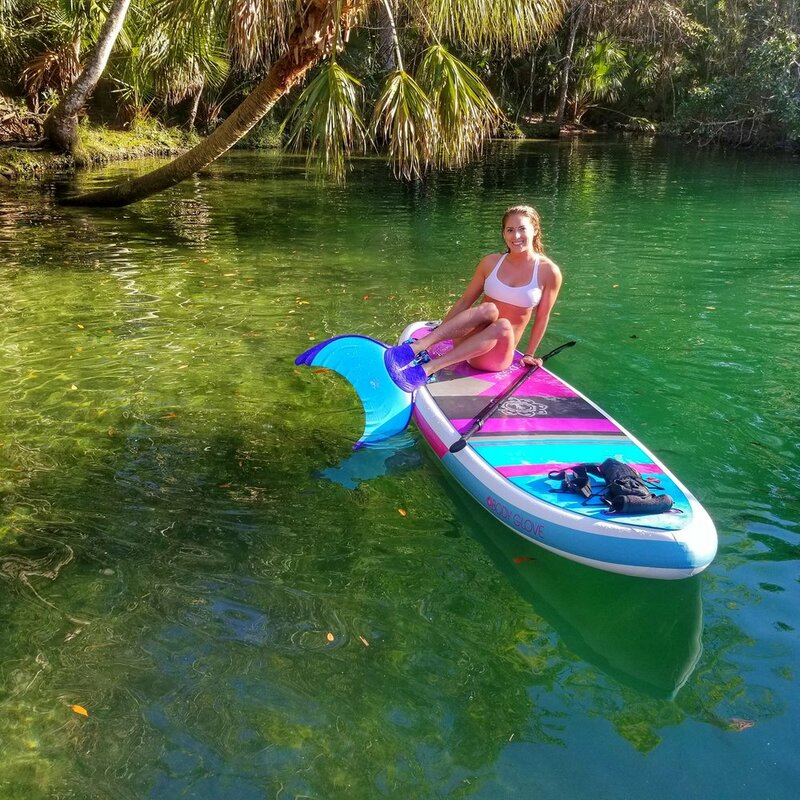 The weather was perfect for my Body Glove bikini and I felt confident and stable on my Oasis SUP board while navigating the Class II waters. Winding through a ravine surrounded by lush trees, we saw an osprey and bald eagle tussle over territory before having the chance to cliff jump into the inviting waters. The rocky riverbanks where slippery and littered with sharp rocks; I was grateful to be wearing my Body Glove water shoes. On the ocean outside of Port Orford we learned of the rich history of the coves, lookouts and coast guard station. My Performer 11 glided through the waves on the way to Devils Gate where we saw a sea lion and I caught a wave for some SUP surfing through the natural stone arches. The most breathtaking paddle involved a short but rigorous hike down to a secluded beach located between Brookings and Gold Beach, where Alex was on the Performer and I was on the Oasis and Dave, our guide, paddled the Body Glove inflatable kayak. We explored twelve natural stone arches in chilly emerald green water. Both Alex and I were in Body Glove wetsuits. I was using the women's 5mm separate zip full wetsuit which was perfect during the hike down as I could wear it pulled down on my shoulders to stay cool in the sun, then slip my hood on in the frigid waters. Both Alex and I were grateful for the booties as the water temps certainly weren’t tropical. The ocean was full of life; some of which we could eat including kelp, seaweed, and the local crab that we caught and ate for lunch. The adventure continued with breath-taking terrain as we hiked the Oregon Coast Trail, learning about all of the different trees and local foliage. We then tucked into a shore-side table at the Redfish restaurant where we sampled fresh local fare and perused the attached art gallery. We also had the unique opportunity to ride through Denny Dyke’s interactive art exhibit—the Dreamfield labyrinth—on fatbikes.